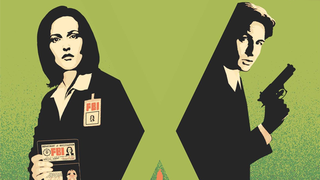 Mulder And Scully Are Back In X-Files Action In This Week's New Comics! Sure, they might not be coming back to TV until 2016, but this week X-Files’ 11th season kicks off in a new run of comics. But that’s not all there is to enjoy in the newest comics of the week: DC’s Bombshells make their physical debut, Sleepy Hollow’s Abbie and Ichabod return to comics, and much, much more!